Years ago, before we lived in Toronto, we’d come here and each time make sure to seek out whatever was new and local. Beer travel has always been one of our favorite beer related activities. Wherever we go, I always do some preliminary online scouting. Sometimes, that will take us to some unexpected places (like the rural road leading to Square Timber Brewing Co near Pembroke, Ontario). It’s always exciting to see what the locals are drinking. But not all regions are equal in beer quality and variety. We know that Canada is a vast and diverse country. If Toronto is a city of neighbourhoods, then Canada may as well be a country of Nations. There is no universal Canadian identity, and no universal Canadian beer scene. I think it’s pretty great how you can go to another province or territory and experience something completely different culturally. And of course, beer is a part of culture. We recently came back from a two week trip to Newfoundland. While you might think that Newfoundland would have inherited some of its Irish forefathers brewing heritage, it seems as though the beer culture is still at its beginnings on the island. But we still drank beer, and as usual, we did some research beforehand. 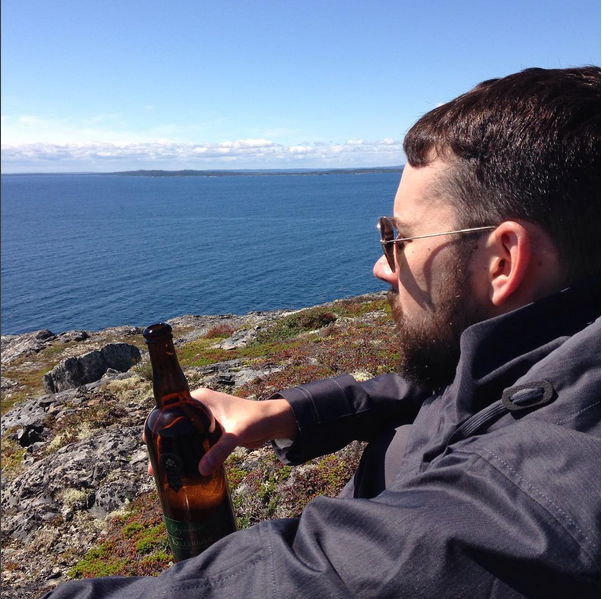 We found this blog with some good background info on beer in Newfoundland to guide our adventures. Yellowbelly Brewery is located in St John’s on Water Street, right near the George Street bar district. We went there to eat a few times and while the service was excruciatingly slow, the beer was the best we were able to find in Newfoundland. I really enjoyed their spruce tip IPA, which was the seasonal when we visited. It was interesting to see them integrate some of their local flora into a beer. Since hops have pine character, it wasn’t too far off in aroma from what you would normally expect, but with a twist. 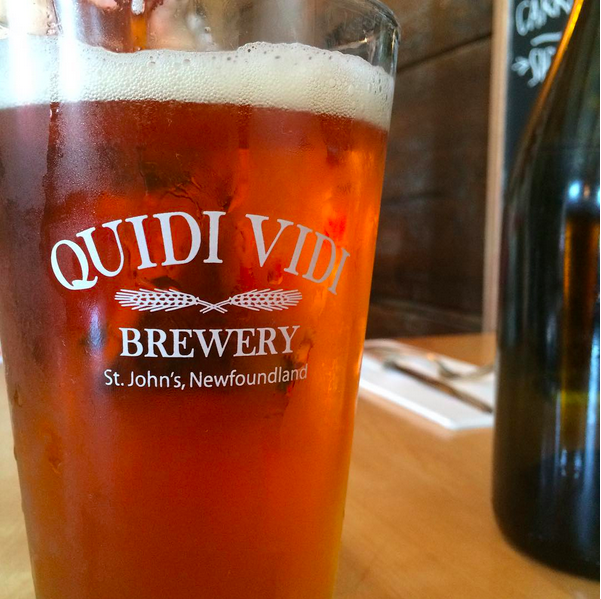 While the locals were quick to point us towards Quidi Vidi for local craft beer, I didn’t really get into that brand. While their beers aren’t the worst I’ve ever had, I found a lot of them very similar to one another and that was pretty disappointing. At one bar, Chris ordered the Honey Brown and I ordered the Red Ale — and both beers came back with the same colour, same flavour. The waitress presented them to us as two different beers which can mean a few things: the same beer was tapped on two different taps, the bar tender got the order wrong, or the two beers are almost exactly the same both in colour and flavour. I hope it’s not the latter. the pale ale was the best. Molson and Labatt both brew beers right in St John’s specifically for the Newfoundland market. We’re not normally big macro drinkers, mostly because we’d rather encourage the smaller guys. We’ve been known to enjoy a Goose Island here and there, but we usually go for whatever is local. 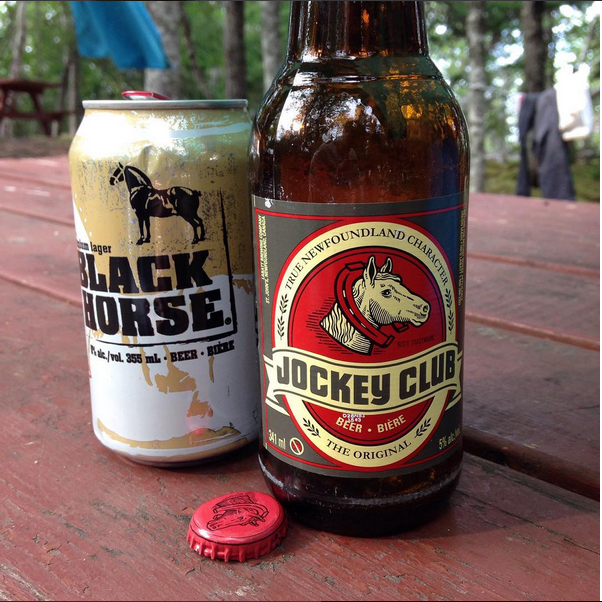 That said, we spent most of our camping time drinking Black Horse and Jockey Club. They’re similar beers, nothing too crazy for anyone who is used to drinking lagers from big breweries. That said, Jockey Club actually wasn’t so bad. Refreshing, with some nice floral hop aromas — it became our corner store go-to. Only complaint is that some bottles had a bit of a metallic flavour, and we weren’t sure where it was coming from. I was told by a local that those are actually not all that popular, so maybe they were sitting on the shelf for too long? We had to try all of the craft beers, and this one was harder to find than the others. Storm Brewing was available on tap at the Duke of Duckworth. I had their Red Ale, which is malty with some very strong, in your face butterscotch notes. Not sure how I feel about that one, as I’ve never been a huge fan of butterscotch. I don’t want to be so quick to write them off since that the only beer I had from them, but I would like to taste what else they have to offer. I also found that the beer offering was mostly limited to the usual macro beers, and whatever is local. Not a lot of beers from the mainland were available, but we did find some in the NL Liquor store — Trois Mousquetaires and Muskoka Brewery, to name a couple. The Fogo Island Inn also had a couple of imported craft beers we had never tried, and that was a welcome change after a few days of drinking almost exclusively Jockey Club. Hi! I happened upon your blog and have loved reading your posts. My husband, daughter and I live in Phuket, Thailand after traveling the world for a year. My husband is a home brewer and is a distributor of American craft beer here in Southern Thailand, I look forward to getting to know you! Did you get to try Quidi Vidi iceberg? Mmm it is one of my favorites! Hope you enjoyed your visit! You’ve highlighted the last two years of my live beautifully. While the rest of North America, including Maritime Canada, was on the beer resurgence train, Newfoundland somehow missed that entire memo. Quidi Vidi does the best it can to emulate that macro taste while claiming micro status, and Yellowbelly makes the same 4 beers year round, with the occasional seasonal that can be hit or miss (though I agree that the spruce tip IPA was good – you should have tried the parsnip pale ale last year. Major miss). This province is ripe for the right business to come set up shop, the interest is 100% here. DIY-er, feminist, good-beer-hunter and cat fancier. I'll never say no to a good cheese.